Beijing wants to slash excess auto production at a time when Nissan, Toyota and others hope to expand. Draft rules could cut as much as a third of capacity in the world’s largest car market. Official feuding over the issue too could prove a speed bump, even for global giants. 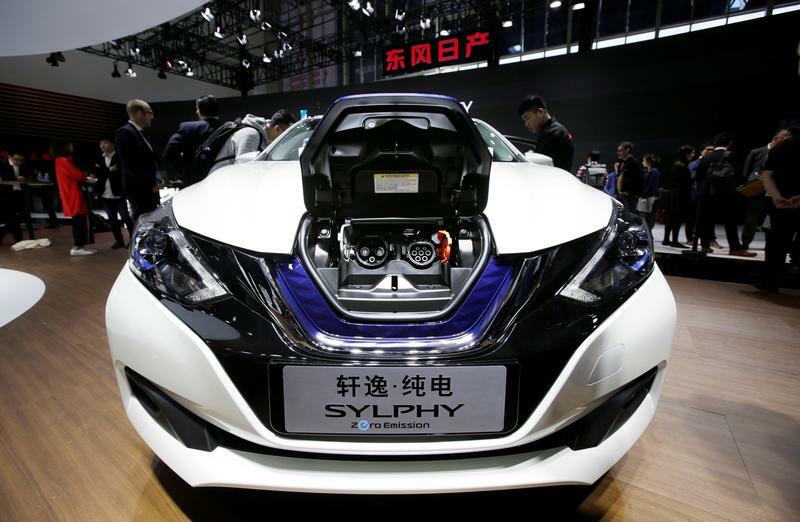 A Nissan SYLPHY electric car is displayed during a media preview of the Auto China 2018 motor show in Beijing, China April 25, 2018. Some global auto companies say they are worried about draft rules to restrict new production capacity in China, Reuters reported on Sept. 4, citing industry sources. The proposed rules, issued by the National Development and Reform Commission, would require companies to meet measures of capacity utilisation and other criteria in order to invest in new factories. The state planner is hoping to curb excess capacity in the industry. Nian Yong, head of the NDRC’s Department of Industrial Coordination, said on Sept. 1 that the agency would soon implement a new set of rules to “prevent haphazard investment and redundant development” in the auto industry. Another official said the NDRC had received feedback on its draft regulations and had made “quite big” modifications to the text. China said in April that it would scrap limits on foreign ownership of automotive ventures by 2022.